SpeeDx Pty, Ltd. announced an agreement with Cepheid to manufacture their market-leading ResistancePlus ® tests for use on the GeneXpert System. 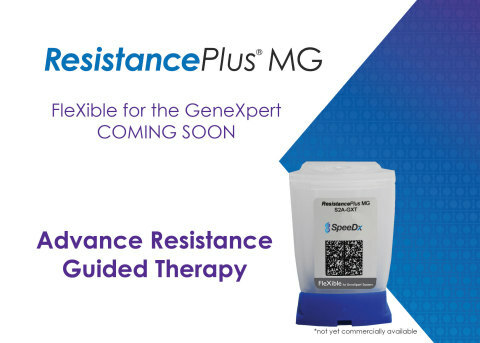 The first test in Cepheid’s FleXible Cartridge programme, planned for launch early 2019, is ResistancePlus ® MG, detecting the sexually transmitted infection (STI) Mycoplasma genitalium (Mgen) and markers associated with azithromycin resistance. Currently, there is no FDA-cleared molecular diagnostic test for the detection of M. genitalium in the U.S. The SpeeDx ResistancePlus ® MG assay is CE marked for sale in Europe and TGA approved for sale in Australia. The test provides valuable detection and antibiotic resistance information to clinicians in a rapid time frame. Timely detection of antibiotic resistant infections enables Resistance Guided Therapy for better treatment of the disease for patients, lessening the potential for spreading among vulnerable populations and combating antibiotic resistance.